An upbeat, informative journey through Jerusalem with host David Nunn. Visit some of the Holy City’s most intriguing attractions – the Western (Wailing) Wall, the Dome of the Rock, the Garden Tomb— and discover the history behind their triumphant yet turbulent past. It’s the next best thing to being there in person to experience these fascinating locations in all their magnificence! 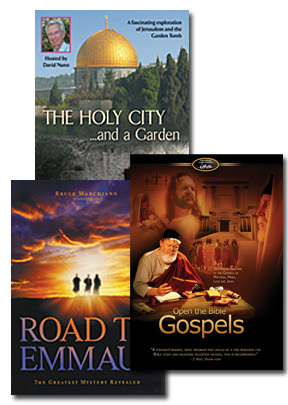 A free Biblical reference guide in PDF is included on the DVD or can be downloaded above.